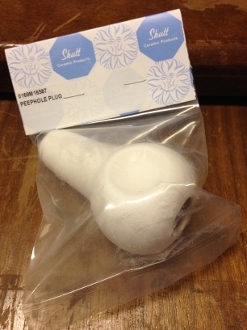 Our peep plugs are made of high quality porcelain. The holes are coated with refractory cement for durability and tapered so you can twist lock the plugs in. This secure fit prevents them from falling out and breaking.